Did you know that every brand also shows the number of centimeters in their size chart? 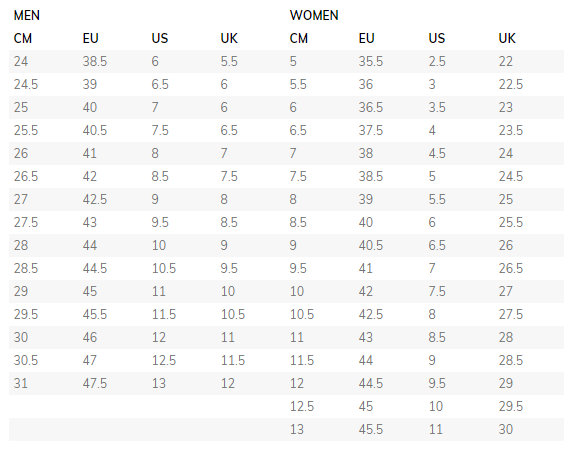 This should help you a lot with picking your sneaker size. 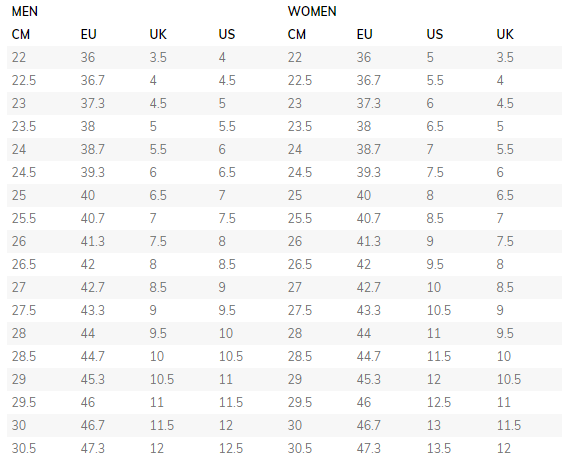 For example, Nike has a size EU 43 UK 8.5 US 9.5 and CM 27.5 (CM stands for centimeters). 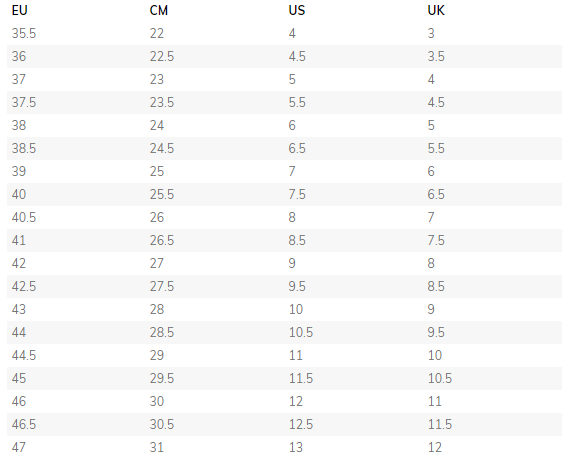 And Adidas has a size EU 43 1/3 UK 8.5 US 9.5 and JP 27.5 (JP/CM also stand for centimeters). So if you have a size EU 43 of Nike, you should take a size 43 1/3 of Adidas because the number of centimeters have an exact match. To get to know your exact shoe size, please follow these instructions. Stand with one foot flat on a piece of paper, rest a pen or pencil straight down your heel and mark the paper. Mark the paper the exact same way at the end of your longest toe. Measure the distance between these two points in centimeters. Repeat these actions with your other foot. If one foot is slightly larger than the other, use the larger one as your overall foot size. Your shoe size should be at least a quarter to a half centimeter larger than your exact foot size. If your largest foot measures 27 centimeters, you should take a Mens EU size 42 1/2 of Nike and a Mens EU size 42 2/3 of Adidas.